20:04 | Lima, Jun. 2. 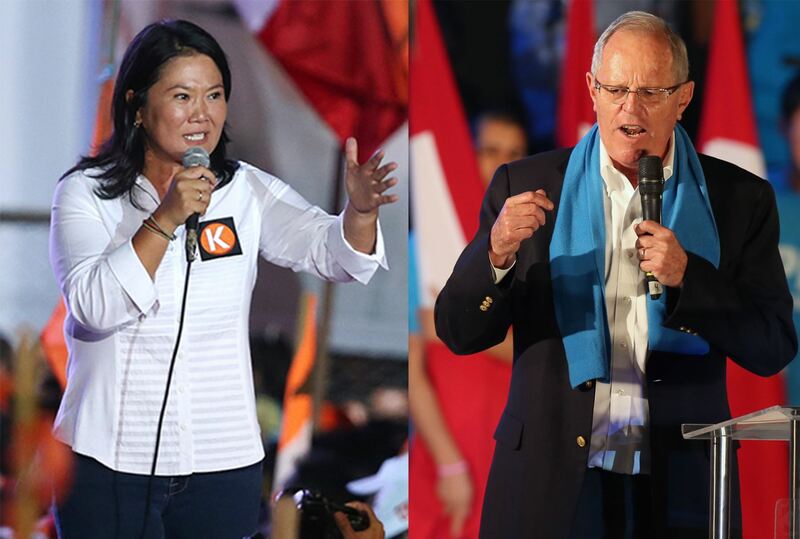 The two presidential candidates Pedro Pablo Kuczynski (PPK) and Keiko Fujimori (Fuerza Popular) officially close their electoral campaign by holding final rallies in Arequipa and Lima cities on Thursday. On this occasion, PPK leader elected the White City of Arequipa as the stage to conclude corresponding campaign activities towards the coming run-off elections. On the other hand, Fujimori leads her last rally in Lima's Villa El Salvador district, where supporters were convened starting 3:00 P.M. (local time). It must be noted the events were granted permission to proceed by the National Office of Interior Government (ONAGI). According to electoral restrictions, any meeting or public demonstration of political nature will be forbidden starting June 3th. As is known, Peruvians will go to polls on June 5 to elect either 41-year-old Fujimori or 77-year-old former World Bank economist Pedro Pablo Kuczynski to the highest political office.